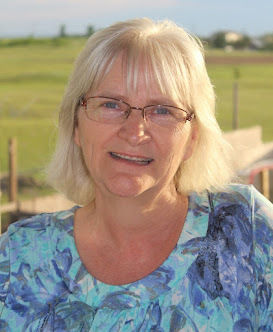 MANITOBA GARDENS: Finding My Niche; What's In a Name? One of the first things bloggers are told to do is find their niche, and figure out who their audience is. Hmmmm....I have a blog called Manitoba Gardens that's a lot like Canadian Tire...we're so much more than our names convey! If you're not familiar with the Canadian Tire store, judging by their name, you would think they sell only tires. But no, they sell just about everything from hardware to sporting goods, and yes, tires! 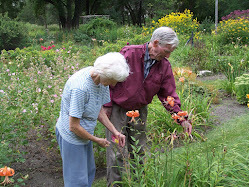 Manitoba Gardens has been around for so many years....although mainly as a tribute to Dad, and the garden he and Mom created together...so changing the name of my blog just didn't seem like a good idea. But at the same time, Manitoba Gardens doesn't really tell readers what we're about.... So, what is my niche? Who do I write for? Who is my 'tribe'? And how do I figure this out? Well, in many ways, I write for myself. I write about things I enjoy, places I like...gardens, yes, but other places too. I post projects we've done for our own home and garden, craft projects I've done with my kids, and foods I make. In other words, I share bits and pieces of our life and activities, and hope that someone out there enjoys hearing about it. But how do all of those things fit into one package? I guess the first place to start in figuring this all out, is to ask, "Who am I?" I'm a wife, and an 'older' stay at home mom, and very happy to be so. Some of my eight kids came by birth, others by adoption...they range in age from 38 down to 10. I'm a grandma of sixteen, and yet I'm still homeschooling. Yeah, I'm used to not really fitting in the usual Mom box. But I have a friend I talk to every day who is my oldest daughter's age...and another friend, twenty years older than me, who is helping raise her three grandkids. So in my world, age is just a number. Nope, I don't write for a particular age demographic. Even though I'm an a adoptive mom, I don't feel that my children's stories are mine to tell, and although I may touch on homeschooling here, it's not my focus. I'm also a Christian, but I don't write specifically for people of faith....I have another blog for that! (Lyric Devotions) There we go....that ruled out a few niches already! 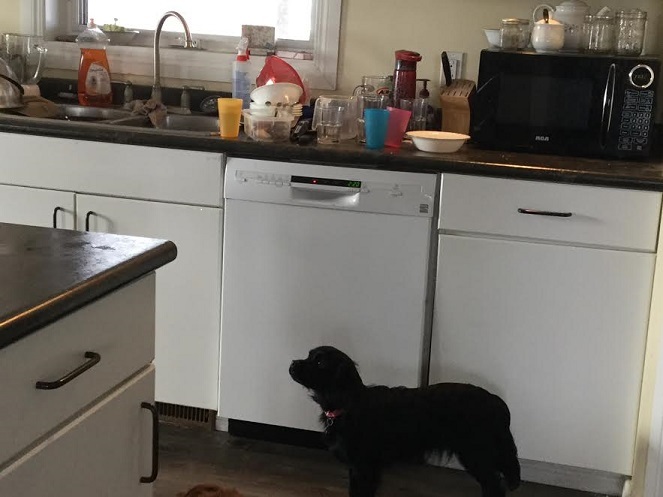 My kids will tell you the kitchen is not my favorite room in the house. And I'm certainly not a homemaking blogger! .....but I'm not a DIY or craft blogger. My son would say that I'm a dabbler...a little of this, and a little of that! Can you see it? The theme doesn't show up in all of the titles, but it's there. I post things that are...I was going to say, "Inexpensive" but I'll just say it like it is....I post things that are CHEAP to make! Most of our projects include materials that we have scavenged from other jobs, or bargains we've found. Many of these posts are still on the drawing board, but just wait, eventually I'll get them out there. Not only do I post cheap; I post EASY. As I said, I am not a food blogger. I don't want to spend a lot of time in my kitchen cooking up gourmet meals. I want something that's, yup...cheap and easy! 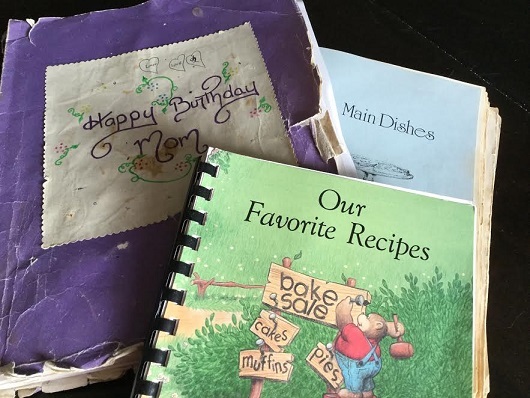 My favorite cookbooks are community group cookbooks...the ones that are full of tried and true recipes that ordinary people eat, or the one my daughters made for my birthday many years ago. But more often than not, I just wing it, and throw together whatever I have on hand, and surprise, every once in a while, I come up with something I think is worth sharing! Even my Featured Gardens and other tours fit this theme. Think about it.... What's easier and cheaper than touring someone else's beautiful garden, or visiting the local Farmer's Market to buy produce and baking? And Manitoba Sky Monday? Can't put a price on the beautiful heavens that God has created! So, have I found my niche? The Cheap and Easy Blogger? Hmmm...not sure I like the sound of that...How about "Practical Living Under Beautiful Skies"? I'm not sure that's a niche, but it sounds better! Now, who is my tribe? Well, since you're reading this, I'm hoping you might be a part of it. Yes, Jamie, I see you waving! I know you are my biggest supporter, and I appreciate it! Anyone else out there? If so, I'd like to hear from you. What brought you here? What kind of posts do you enjoy? What would bring you back? I'm waving, too! That's amazing, Deb, because I could have written something very similar. I guess you made me feel good to know that I'm not the only blogger who has a hard time nailing down my niche. I want to enjoy writing and leave it open to where life takes me next. I hope to find a few people interested in following me because I'd like to have opportunities for sponsored posts, but mainly I want to enjoy it myself. Waving from way down South, I see you up there, Deb! This can be a very confusing question, can't it? But I see you've found a common theme running through your posts, so you're on the right track. I enjoy reading your little bit of this and that and cheap and easy. Thanks, Michelle and Kathi! Good to know a name is just a name, and it's content that matters. Glad you stopped by. This is what I struggle with as well. Searching is part of the learning process I guess. Waving from the mid-west! I'm working on this too! A friend challenged me to look at what my niche was yesterday and it has changed for me over the last few years. For me I'm talking to any mom who loves to feed her family with healthy (sometimes home grown food), who loves to garden(not necessarily a homesteader), who loves to craft. Not sure what you'd call that niche but it's where I live. Thanks Terri and Kim. 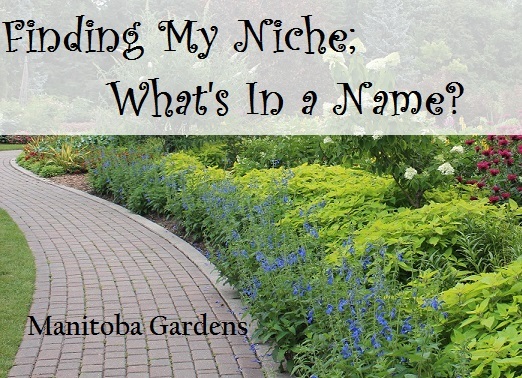 I think my biggest problem is thinking I should have renamed my blog, and started over, rather than sticking with Manitoba Gardens, but maybe the name isn't such a big deal. LOL....you made me really laugh with the cheap and easy line. In general I love blogs where the writer is transparent and willing to share their life....all the good and bad....and ones that make me laugh along the way. I don't really care too much about the topic to be honest...I have some interest in most things. So as long as it's entertaining I'm engaged. Waving from Ontario. I do love to garden, but I'm not a perfectionist, where the seed drops it grows. 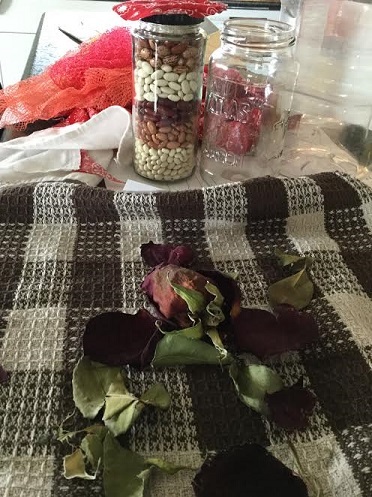 I love making crafts, but just for me. I combined my two loves to get my online name (which others have as well, but that is okay). I love to visit your blog and see the scenes from another part of Canada. I love simple and cheap too. I blog for me and what I like to share and it seems others like what I post too. I'm slowing down on my site now and very often contemplate just posting once in awhile. That all seems to depend on the weather and if I'm able to spend a lot of time outside or inside. Keep doing what you are doing and I'll keep enjoying it. Hi Linda! Thank you for coming by...I'm glad you enjoy my posts. I always enjoy my visits to your blog too! Victoria! Somehow I missed your comment....glad I made you laugh! I think you hit on what I'm going for....yes, I want good content, but even more, I hope my writing style appeals to people...whatever the topic, and that's what I need to keep in mind...HOW I write, not so much WHAT I write about.